After what happened at the Daily News, I am concerned for the future of local journalism in West Bend. Several Daily News staff members, including three editors, were let go Feb. 1 after their positions were eliminated. Nicholas Dettmann, who had been serving as the newspaper’s managing editor for the past three years, was among them. 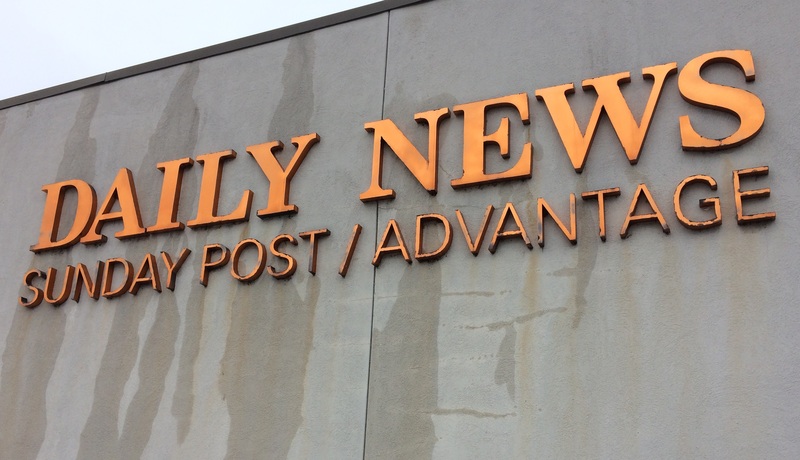 Some reporters remain in the Daily News office, but several jobs have been moved to the Freeman, Waukesha County’s daily newspaper. “I do not know what their plan or reason for it is at this point,” Dettmann said. It is no secret that landing and keeping a job at a print newspaper has grown increasingly difficult. According to a BBC News story, more daily and weekly papers with low circulation experience a significantly higher rate of closures and merges. Since 2004, about 1,800 local newspapers have been closed or merged with another. A report by Pew Research Center indicates that newsroom employment declined by an alarming rate of about 23 percent between 2008 and 2017. Unfortunately, this crisis has reached West Bend, and it may have consequences for our community. 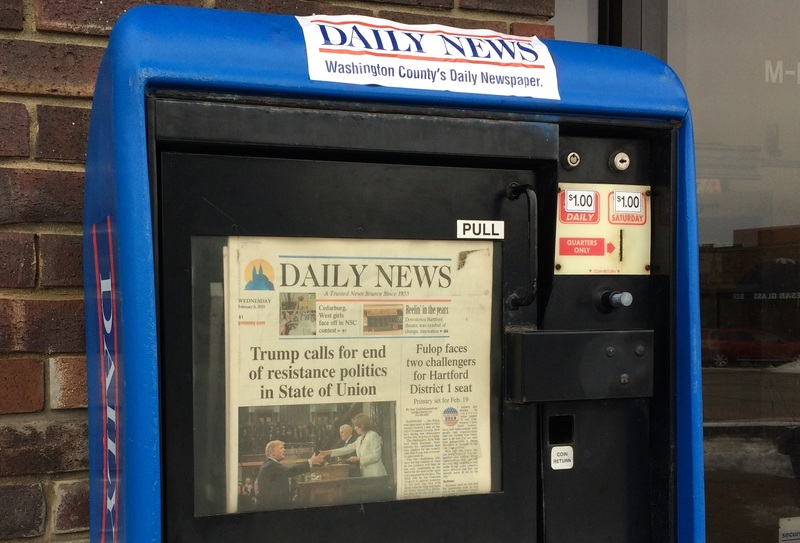 By removing journalists who are deeply embedded in the community, the Daily News is now susceptible to disconnecting from the people—and that is a direct threat to our local democracy. Studies prove that communities with news publications typically have more informed voters, higher voter turnouts and more engaged local politicians. When there is an absence of quality and investigative local journalism, democracy is weakened. If there is not cohesion between a newspaper staff and area residents, then crucial stories will be lost. The Daily News is now heading down that road; since last week’s layoffs, it has quickly become a Conley Media melting pot filled with red flags. Conley, the owner of publications in Washington, Waukesha and Ozaukee counties, has made Lisa Curtis the head of not just one newspaper, but two. Curtis, the News Graphics managing editor in Cedarburg, is now listed as the managing editor of the Daily News as well. I am not sure how one person can effectively lead two papers from different cities at the same time. Quality local journalism requires strong connections with community members, which is impossible to develop or sustain if someone is splitting their time between two counties. Before Dettmann and other staff members were let go, the Daily News had those connections. Curtis, when asked about the changes in West Bend, declined to comment. Other red flags can be found in Wednesday’s edition of the Daily News, which had a Cedarburg-based sports reporter cover a West Bend athletic event and also printed a list of awards earned by students at Menomonee Falls High School, which isn’t even in Washington County. The front page glaringly featured an Associated Press story about President Trump’s State of the Union Address. Who comes to the Daily News for national information? With Dettmann as the managing editor, the paper almost always led with local material and used AP stories sparingly. A newspaper vending machine outside the Daily News office displays the front page of Wednesday’s edition. The page contains an Associated Press story about President Trump’s Tuesday State of the Union Address. Photo by Samantha Dietel, Editor in Chief. Perhaps these red flags are insignificant—just simple, harmless decisions made while the Daily News acclimates itself to its new staffing. Or maybe these are signs of shifting priorities at the paper, in which case, West Bend readers should be concerned. Community journalism should make a difference on a local level, and that is something the Daily News has always done. For example, in December, Daily News reporter Brianna Stubler began investigating the high cost of gas in West Bend after Dettmann noticed a frustration among community members. Changes followed soon after the story’s Jan. 15 publication. This case exemplifies the power of local journalism. A story like that can only be found if actual community members are serving on the newspaper staff. Dettmann in particular has been active in the West Bend community during his decade-long tenure at the Daily News. He has even visited the West Bend Current staff on more than one occasion to help augment our education of authentic journalism. I am appreciative of his efforts to form a lasting relationship between the press and the community, for that is exactly what a local paper requires. Tearing him out of the Daily News was truly a mistake. Community members need to be informed about what directly affects them, too, just as governments and leaders need to be kept in check. Without a watchdog, local figures of authority may become irresponsible or abuse power just the same as national leaders. A functioning and resourceful paper should act as a safeguard for the people. “You don’t want to find out what happens if you don’t have (a local newspaper) because we’ve seen it where places that don’t have it really pay for it,” Dettmann said. As a student with dreams of becoming a serious journalist beyond my high school years, the state of the news industry, particularly at the local level, concerns me. I do not want to lose the possibility of a future in this field. I hope that people across the nation will soon recognize the importance of local journalism and the influence that it can have in our lives, even in West Bend, and remember to be grateful for public servants like Dettmann. 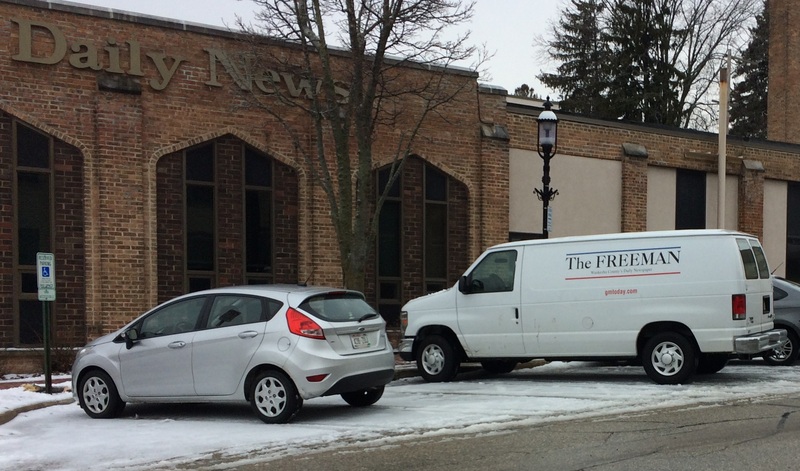 A van from the Freeman, Waukesha County’s daily newspaper, was parked outside the Daily News Wednesday. Photo by Samantha Dietel, Editor in Chief. Samantha, this is an extremely detrimental event in our community that I’m not sure many people are aware even occurred. Thank you for drawing attention to this and the impact that this has/will have on West Bend. You are not alone in your concerns. Keep writing, keep investigating. We NEED journalists like you. Your writing is a joy to read Sam! Great work! I can’t wait to see more bylines with your name! Thank you for the report, Samantha. I found no other information on the changes anywhere else. You have lost local editors. This was a very well-done commentary. This is a severe loss to the West Bend community. Thank you, Samantha, for expressing this so well for those who may not have even realized what had happened. Keep working hard towards your professional career goals. I want to compliment you on so many levels for this work. I’ll start with the thorough effort you put into the article. Well written and presented. There’s a larger issue I wanted to mention as I hope you’ll pursue a career in journalism. The greatest challenge I see for our young reporters coming into the business is a lack of awareness, curiosity, and natural skepticism. In this article alone, you’ve shown strength in all. Aware of something going on in the community and connecting the dots. Wondering why that’s happening and answering the question. Considering the effect this will have. Please reach out if you ever have any questions about the business. Would be glad to help.